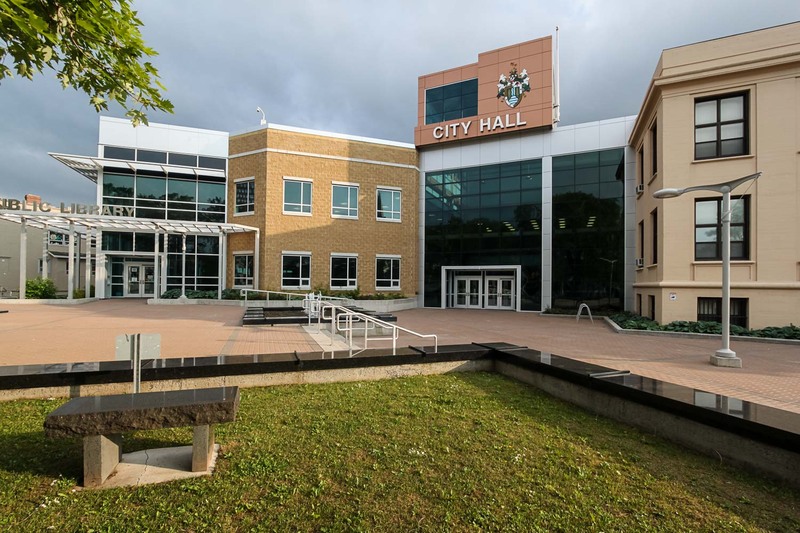 Located at the end of Corner Brook's historic West Street, their new City Hall blends perfectly with the existing infrastructure. 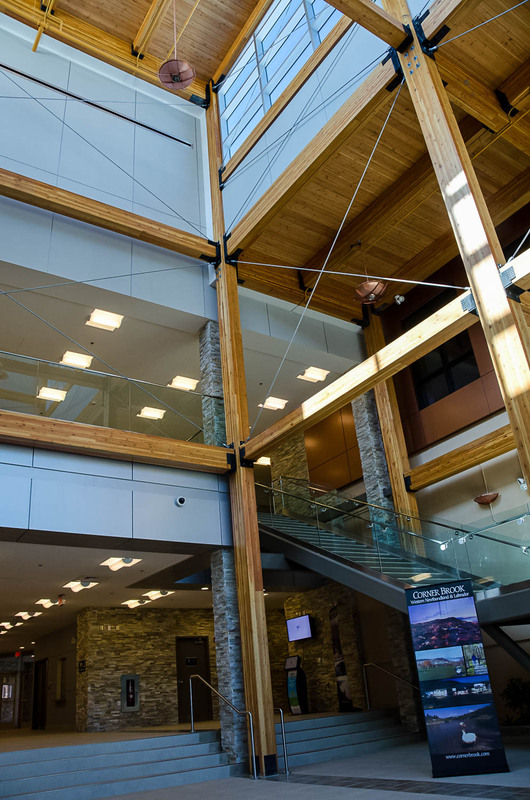 The first institutional building in the province to achieve LEED certification, Corner Brook’s new city hall features an array of sustainable design features. 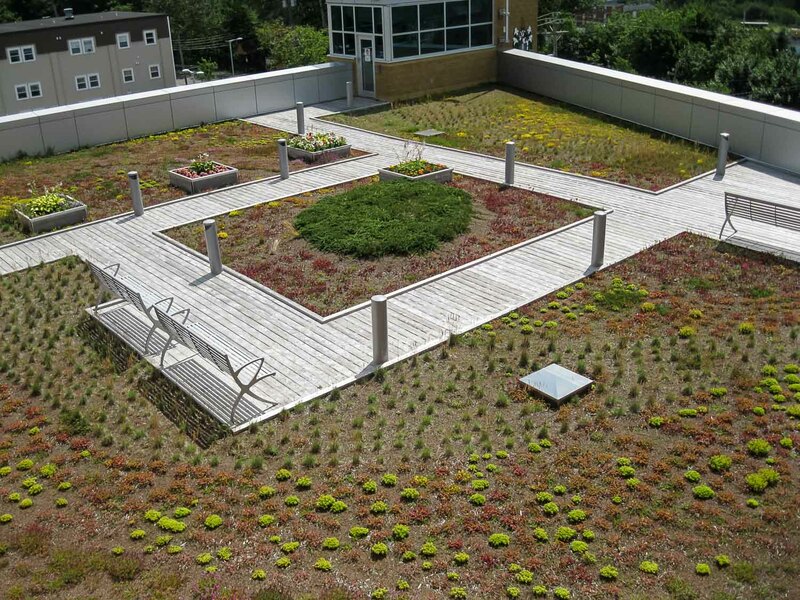 These include a green roof that is open to the public, the prominent use of wood and other renewable materials, and extensive glazing that provides ample daylight and views to the exterior for the building’s occupants. 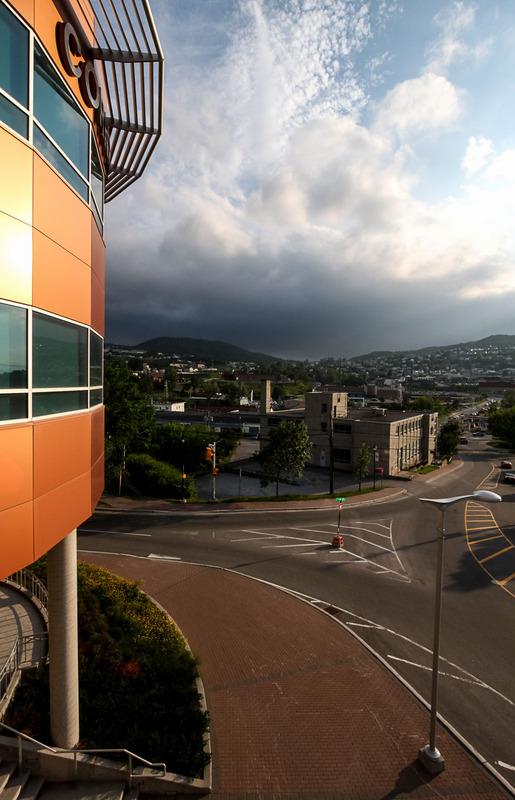 The project site occupies a central spot in the city and previously housed several commercial buildings as well as the Corner Brook Museum & Archives. 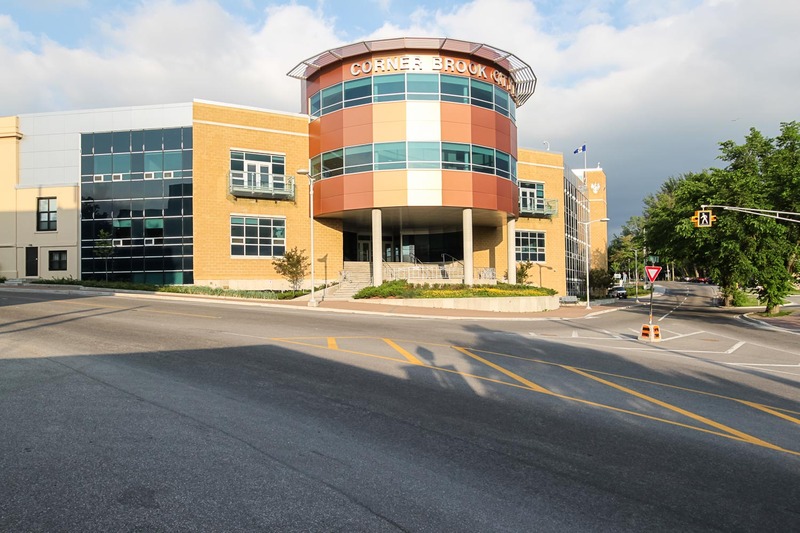 The Corner Brook City Hall & Public Library measures 10,000m². 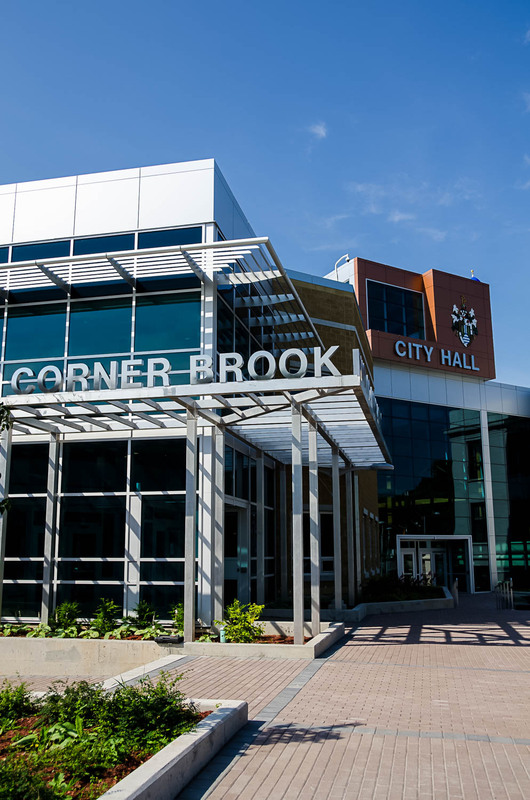 The Corner Brook City Hall & Public Library is located at 5 Park Street, right in the heart of Corner Brook's downtown and main cultural centre. 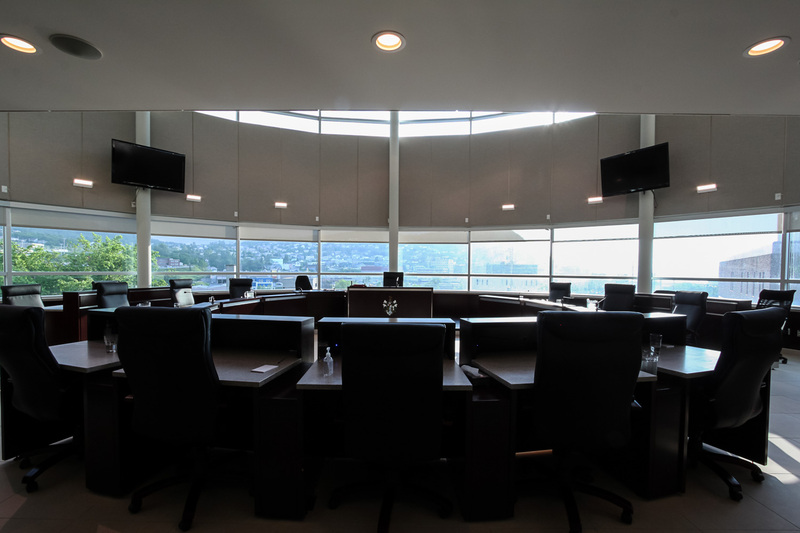 The Corner Brook City Hall & Public Library was completed in 2011 and is currently being used as a headquarters for Corner Brook's municipal government. 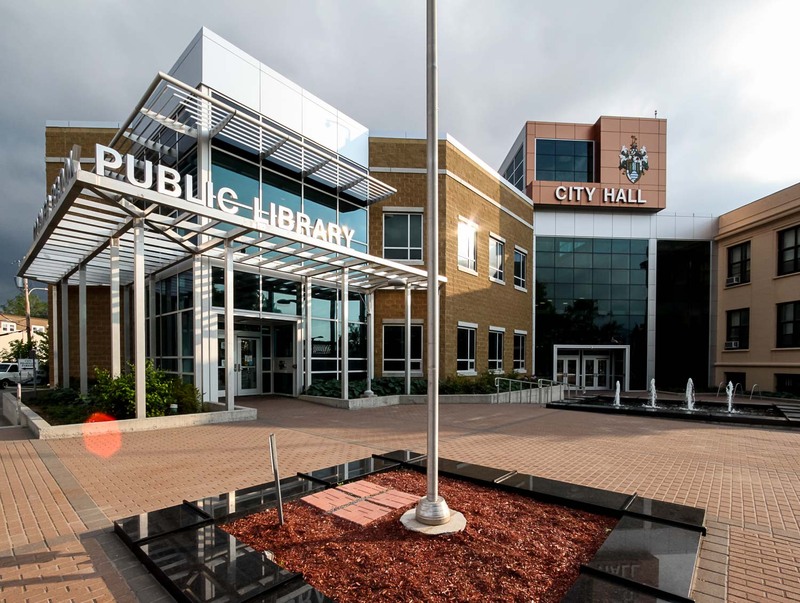 Part of the challenge of this project was to preserve the existing museum while demolishing the commercial structures, then creating the new city hall and library building wrapped around the museum. 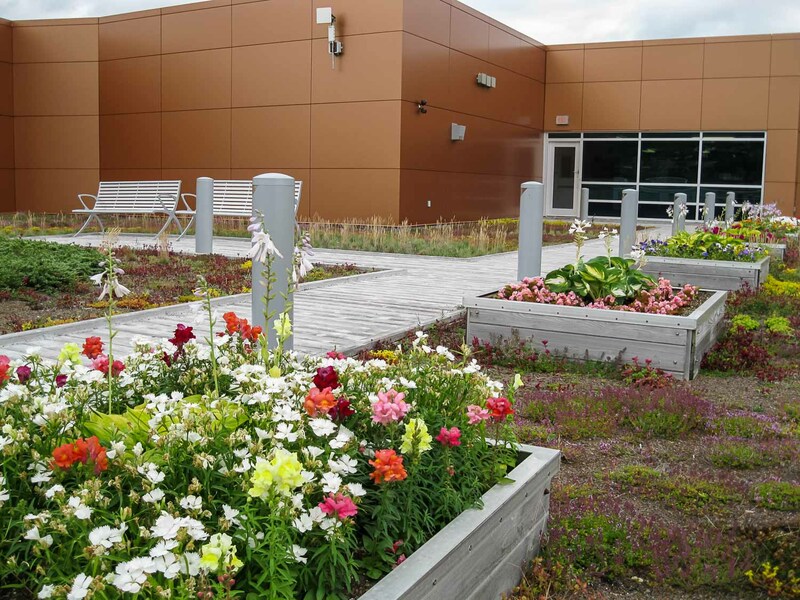 Accessibility between the new building and the existing museum was also a requirement. 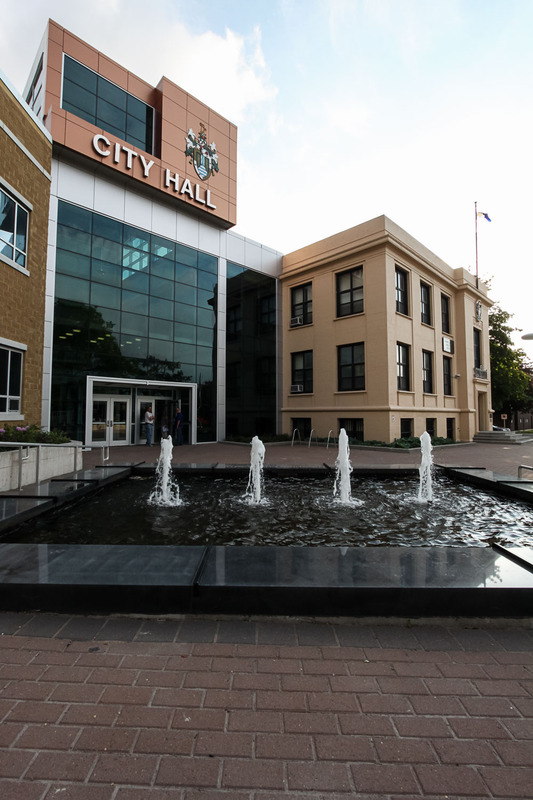 Due to the central location of the new City Hall, it was also deemed important to provide the city’s downtown with additional interior and exterior public spaces as part of the project, promoting social and cultural sustainability. 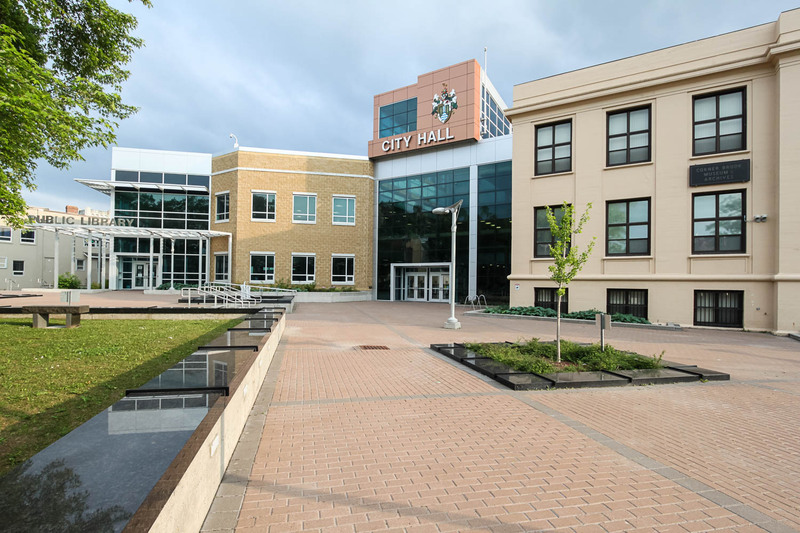 The Plaza and the distinctive street presence of the new building establish it as an urban focal point, reinforcing the downtown area as the heart of the city.